I can remember it like it was yesterday. Three things happened around 2009 which all culminated in me becoming deeply embedded in the WordPress ecosystem. I had decided that I was ready to move on from a corporate job due to burnout. A life coach had given me a copy of The 4-Hour Workweek by Tim Ferriss which I proceeded to read three times over. I decided that my true passion was writing, so I was determined to find a path to location and time independence by producing website content (blogs, courses, or information products). Although I’d built an occasional website with HTML beginning 15 years ago, I needed to spend my time and energy building an income…not coding websites. After trying some of the major online website builders which were available at the time, I felt completely limited by what I could create and test as business concepts. There were times that I was trying to validate product ideas with a simple three or four page site with one of these services and I simply did not have the flexibility or control of the content to achieve what I wanted. Fast forward to 2019 and WordPress has become a massive part of my life. I co-founded a company to begin creating WordPress plugins, I’ve travelled around the country to attend WordPress-related conferences, and I’ve developed amazing personal relationships within the community for which I’ll be forever grateful. However, I, like many of our WP Courseware, S3 Media Maestro, and Churnly users, had to start somewhere. WordPress is a fantastic content management system to run your website on and now powers around 30% of all sites around the globe. It’s simple to change the look and feel of your site with themes, easy to extend functionality with plugins, and updating content like website pages or blog posts is simple for even non-techies. But getting your first business or website up and running with WordPress, well, let’s just say there’s a learning curve that we’ve all had to climb. 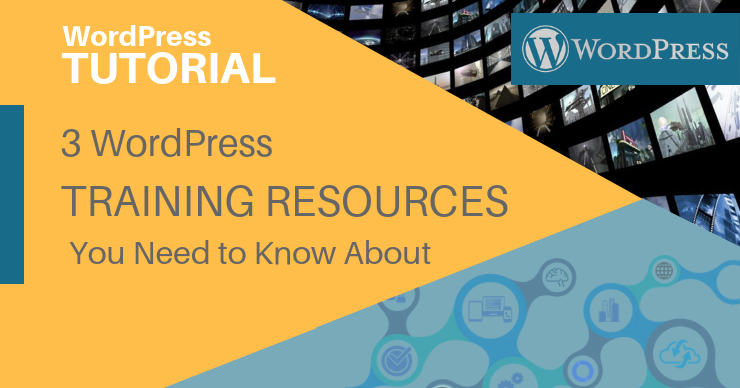 In this article, we wanted to provide a list of some of our favorite WordPress training resources to make that learning curve more manageable. Kirk Biglione has been developing client sites for years and in his role at Oxford Media Works, he eventually made the transition to WordPress as his chosen platform for web development. We’ve covered Kirk’s site, WP Apprentice, in one of our WP Courseware user case studies. It’s a fantastic resource for anyone who needs a primer on how to get started with WordPress. There are a number of video courses available, however, Kirk not only covers WordPress fundamentals but also digs deep into topics such as how to build a successful e-commerce site or how to ensure that your WordPress site is optimized for search engine rankings (SEO). First, the price. You can access all of Kirk’s existing 176 WordPress training video tutorials for $99…for life! Second, he has focused a lot of his content creation on how to create an e-commerce or membership related site. After all, most folks starting a site with WordPress hope to eventually earn some income from it in some form. Finally, Kirk provides a customized video briefing detailing changes related to each major WordPress update. This may not sound like a big deal, but with the pace and magnitude of releases we’ve been seeing from the WordPress core team these are incredibly helpful and Kirk notifies all students by email when these are released. We first met Shawn Hesketh during one of our annual trips to the Pressnomics conference which was held in Phoenix for several years. He’s not only an incredibly genuine guy with a true love for the WordPress community, but he also “accidentally” created one of the first and largest WordPress training libraries called WP 101. After spending a few years developing sites for clients which were built on WordPress, he realized that requests from clients to help them update their own sites began eating into his billable time. And as with most great business ideas, a problem lead to an opportunity. Shawn began creating a video library so that his web design clients could help themselves with minor updates to their WordPress-powered site. And WP 101 was born. This is another paid/premium training offering. But at $49 per year for unlimited access to all of the outstanding WordPress training they’ve produced over the years, it’s a no-brainer. Plus, they boast over 2 million clients since they launched…that’s quite the testimonial. 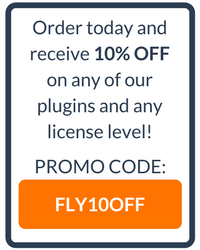 WP 101 not only offers generalized crash course overviews of WordPress usage, but also courses in specific functionality related to popular plugins such as WooCommerce and Ninja Forms. Everyone on our team has been a struggling first-time entrepreneur at some point, so we certainly understand that even a $49 or $99 investment can be a stretch when there are so many other costs associated with starting your own website, blog, or business. That being said, premium paid membership options such as WP Apprentice or WP 101 aren’t your only options. Several years ago, our friend Syed Balkhi created an incredibly helpful WordPress tutorial and news site called WP Beginner. And guess what? All of the content is free! If you’re a complete newbie to WordPress, it’s a bit more difficult to piece together exactly what you need to walk through to build your first site with a free WordPress training site like WP Beginner. Membership sites such as WP Apprentice and WP 101 offer a clear cut path for those building their first WordPress site. However, WP Beginner has tutorials on hundreds of details and tasks related to specific WordPress functionality, most with accompanying YouTube tutorial videos. This makes it a perfect follow-up resource after you’ve had a proper WordPress training course primer and if you’re looking for help with something granular which is more specific to your use case.